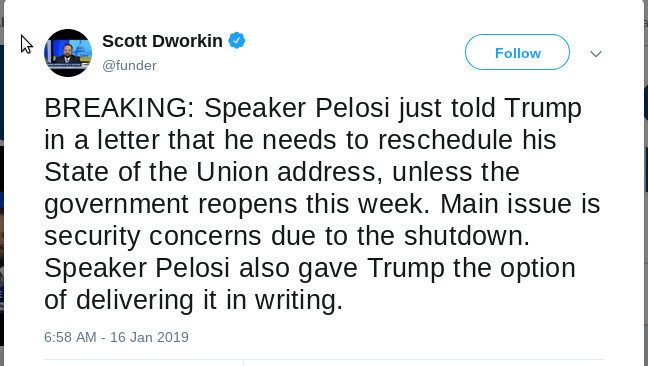 1:Government is reopened or Trump finds a way to bypass Pelosi, speech is on Jan 29. In that case the proposed meetups at 3ed and Constitution and 3ed and Independence (covering both likely motorcade routes) should go on as planned. 2:State of the Union Address is postponed to a later date, the protest is also rescheduled for that date. 3:Trump is forced to cancel the State of the Union Address and submit it in writing. This case would have the benefit of denying Trump a major propaganda event that doubles as a Trump rally. In addition, speculation on Twitter is that he is an awful writer and a written State of the Union Address will be so poorly done as to weaken him politically. 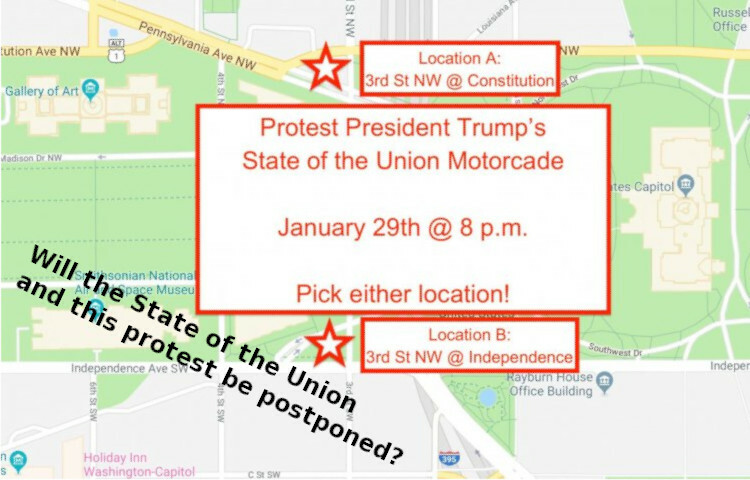 In this case, a "victory rally" could be held in front of the Capitol or the White House on Jan 29 to celebrate a political defeat of Donald Trump, or the event cancelled entirely.